For the first time in three years, Phil Ivey isn't the winner of the LK Boutique $250,000 Challenge – an annual tournament that takes place during the Aussie Millions Poker Championship and dates back to 2011. 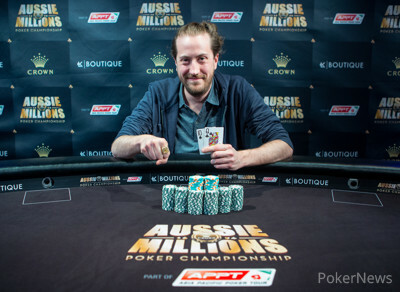 The 2016 edition attracted 16 entries (15 unique + 1 reentry), which created an AU$3.92 million prize pool, and in the end it was Steve O'Dwyer who walked away with the an AU$951,960 prize. 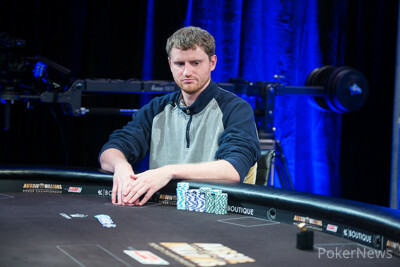 O'Dwyer defeated a field comprised of some of the best players in the world, including David Peters (2nd – AU$889,236 million), Connor Drinan (3rd – AU$1,021,909), and Fabian Quoss (4th – AU$956,896), who were the only other players to cash. Originally just three were slated to be paid with the winner to take home AU$1.96 million, but a four-way deal did away with the bubble and ensured everyone took home close to AU$1 million. O'Dwyer's win comes less than a month after he took down the 2016 PokerStars Caribbean Adventure $50,000 Single-Day High Roller for $945,495. Both scores were just the latest on a Poker-Hall-of-Fame worthy résumé that includes wins in the EPT9 Grand Final Main Event, PCA 2015 (EPT11) $100k Super High Roller, EPT12 Malta €10k One-Day High Roller, and the EPT12 Prague €50k Super High Roller. It also comes less than week removed from O'Dwyer's fourth-place finish in the $25,000 Challenge, which saw him take home AU$263,520. Late registration was open until the start of Day 2, and Mike "Timex" McDonald was the only player to take advantage of it, meaning 13 players returned to action on Monday. Fedor Holz, the only player to reenter, was the first to fall, meaning the Triton Super High Roller $200,000 Cali Cup champ was out AU$500,000. The next to go was none other than Ivey, who has actually won the title three out of the last four years. Ivey began the day as the extreme short stack, and despite getting an early triple up to get back to a six-figure stack, he fell in the first level of the day. It happened when Ivey check-raised all in on a flop with the against $100,000 Challenge runner-up Ben Tollerene, who made the call with the . The turn was the , which helped Ivey pick up a couple more outs with a straight draw, but the river missed him completely with the and Tollerene won the hand. From there, both McDonald and Brian Rast took their leave in 11th and 10th place respectively to set up the final table of nine. However, that wasn't much of an accomplishment considering only a third of them would get paid. After Sam Greenwood and Tollerene exited in ninth and eight place respectively, Igor Kurganov followed them out the door in seventh after three-betting all in with ace-four only to come up short against start-of-the-day chip leader Byron Kaverman. After the dinner break, a short-stacked Paul Newey bowed out in fifth, and then Kaverman was crippled after losing a big flip to Quoss. The 2015 GPI Player of the Year then busted to O'Dwyer a couple of hands later. At that point the final four players struck a deal, one that saw them leave AU$100,000 and the LK Boutique championship ring on the table. From there, action picked up considerably – including a big three-way all in — and Quoss, who was just two days removed from winning the $100,000 Challenge for AU$1,446,480, became the first to in-the-money casualty. Drinan was the next to go after his eight-seven failed to get there against Peters' ace-four, and that set up a heads-up match between Peters and O'Dwyer. The duo battled back and forth, but in the end Peters had to settle for runner-up after his queens and sevens were bested by O'Dwyer's queens and tens. 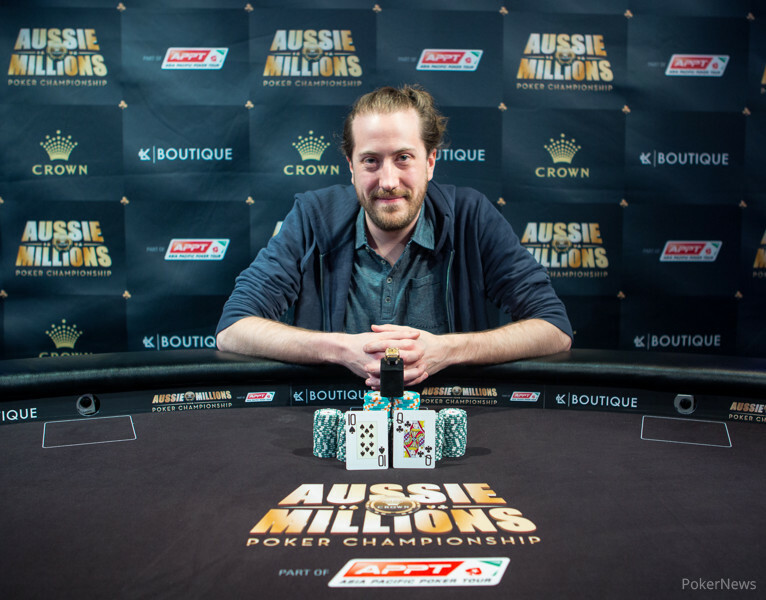 Congratulations to Steve O'Dwyer, the 2016 Aussie Millions LK Boutique $250,000 Challenge champion! On the button, Steve O'Dwyer raised with the , and David Peters called from the big blind with the . The flop hit both players with top pair when the came down. Peters checked, O'Dwyer bet 115,000, and Peters called. The turn was the , and Peters check-called a bet of 230,000 to leave himself with 1.4 million behind. The river was the , and now both players had two pair, but O'Dwyer's was better. Peters checked, and O'Dwyer moved all in for 1.7 million, having Peters covered. Peters quickly called, but saw the bad news that his two pair was second best. With that, Peters earned AU$889,236 for his runner-up finish and O'Dwyer walked away as the winner. David Peters raised to 70,000 from the button with the and Steve O'Dwyer called from the big blind with the . O'Dwyer then check-called a bet of 80,000 on the flop, which had delivered Peters a flush. O'Dwyer, who had flopped a pair of kings, then check-called a bet of 175,000 on the turn before checking for a third time on the river. Peters bet 375,000 and O'Dwyer eyed him suspiciously before making the call. With that, Peters essentially evened the stacks. David Peters raised to 70,000 holding the on the button and Steve O'Dwyer defended with the . O'Dwyer then check-called a bet of 80,000 on the flop before both players checked the turn as well as the river. O'Dwyer's trap didn't work, and he took down a small pot with an ace-high flush. On the button, Steve O'Dwyer raised to 75,000 with the . David Peters called from the big blind with the , and the flop came down to pair both players. With top pair and the best hand, Peters checked. O'Dwyer bet 80,000, and Peters called. The turn was the , and Peters checked again. O'Dwyer checked behind, and the river was the . Peters led with a bet of 260,000, and O'Dwyer folded. David Peters, who held the , raised to 70,000 from the button and then called when Steve O'Deyer three-bet to 210,000 with the . Both players then checked the flop as well as the turn, and then O'Dwyer checked for a third time on the river. Peters tossed out a bet of 215,000, and O'Dwyer thought for a bit before making the call and winning the pot. Remko Rinkema and Donnie Peters are still Down Under for the 2016 Aussie Millions, where they talk about Annette Obrestad's latest deal, recap the $100,000 Challenge, and preview the Main Event final table. On the button, David Peters raised to 70,000 with the . Steve O'Dwyer called from the big blind with the , and the flop came down . O'Dwyer checked, Peters bet 70,000, and O'Dwyer folded. On the next hand, O'Dwyer raised to 75,000 with the , and Peters reraised to 230,000 with the . O'Dwyer folded. On the button, Steve O'Dwyer raised to 75,000 with the . David Peters called from the big blind with the , and the flop came down to give Peters top pair. Peters checked, O'Dwyer bet 65,000, and Peters called. The turn was the , and both players checked to see the pair the board on the river. Peters bet 210,000 with two pair, and O'Dwyer folded.